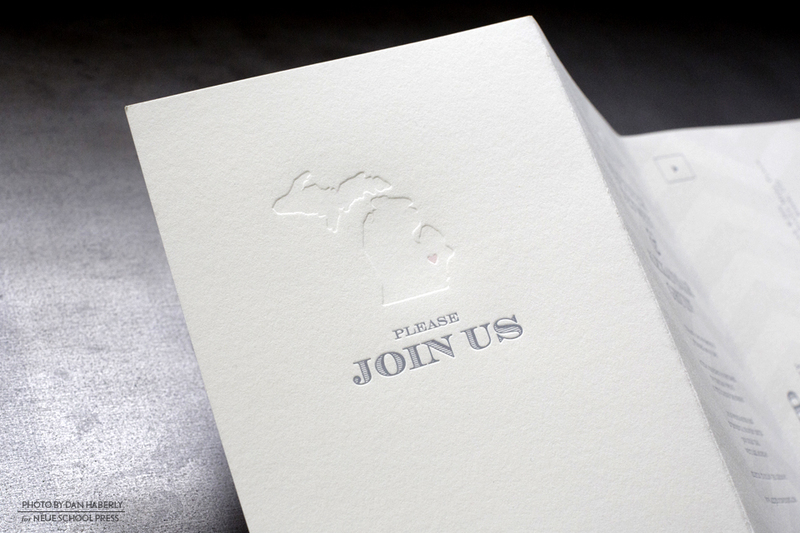 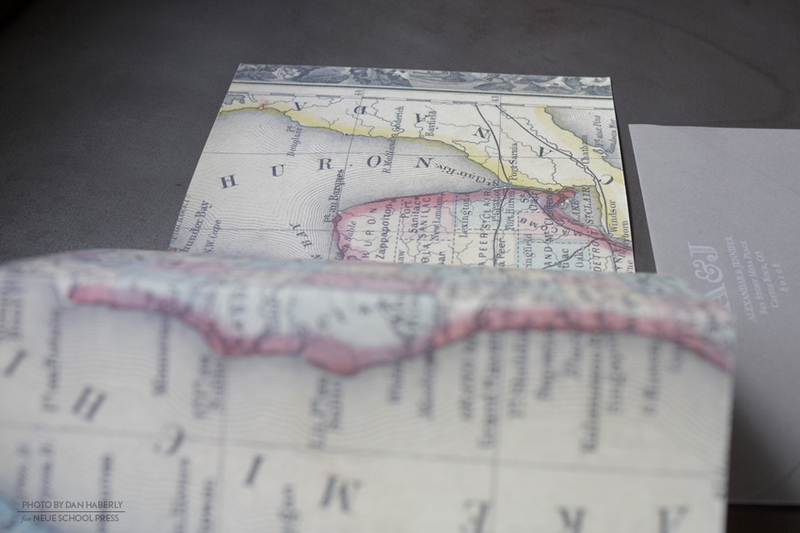 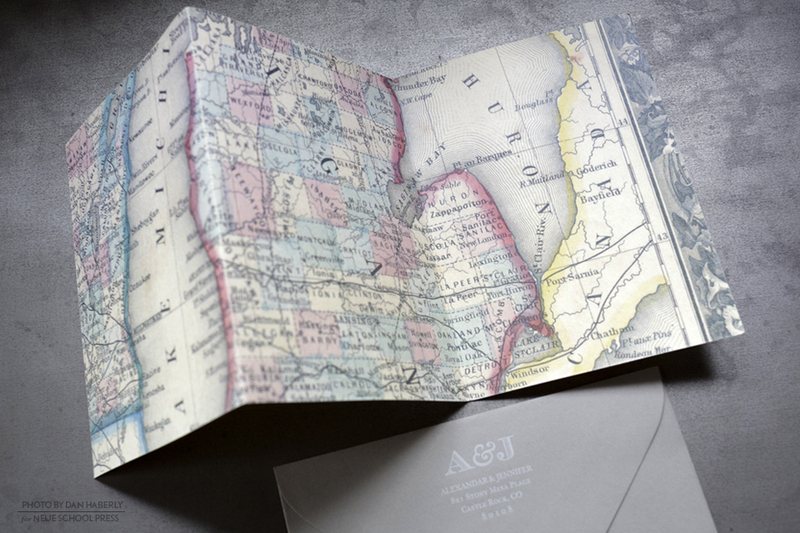 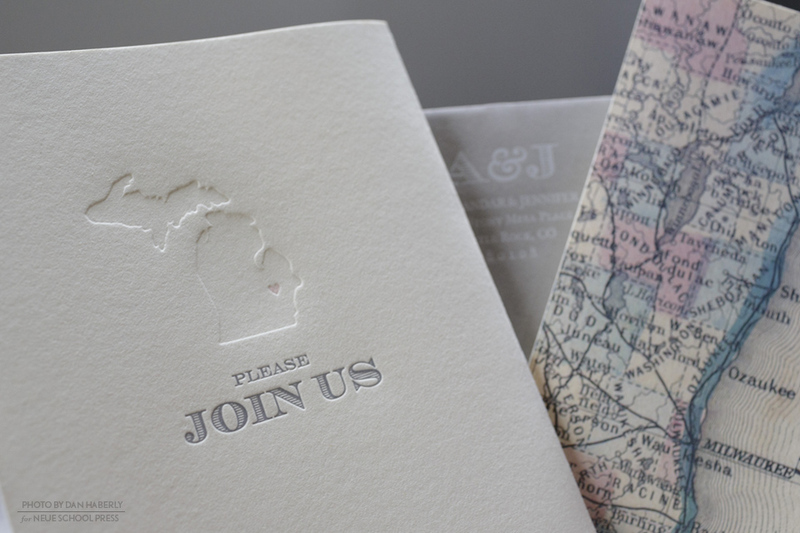 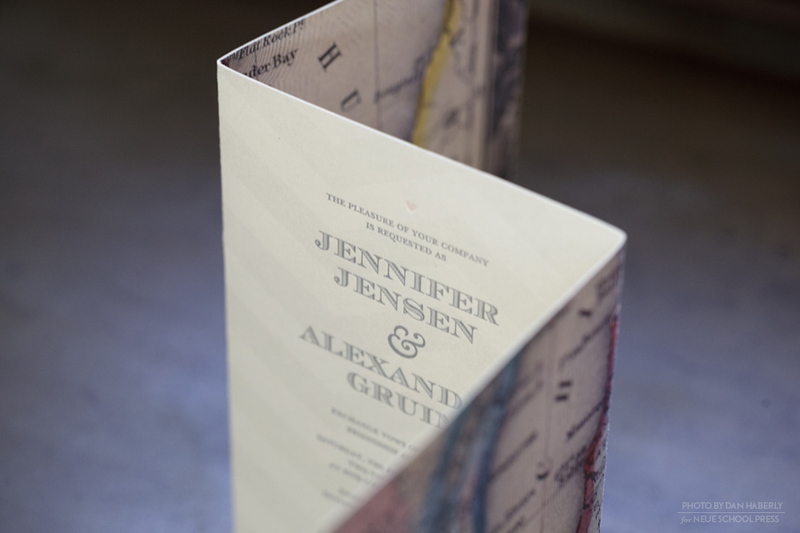 The full-color vintage Michigan map printed on its reverse side, sets the tone for this wedding invitation. 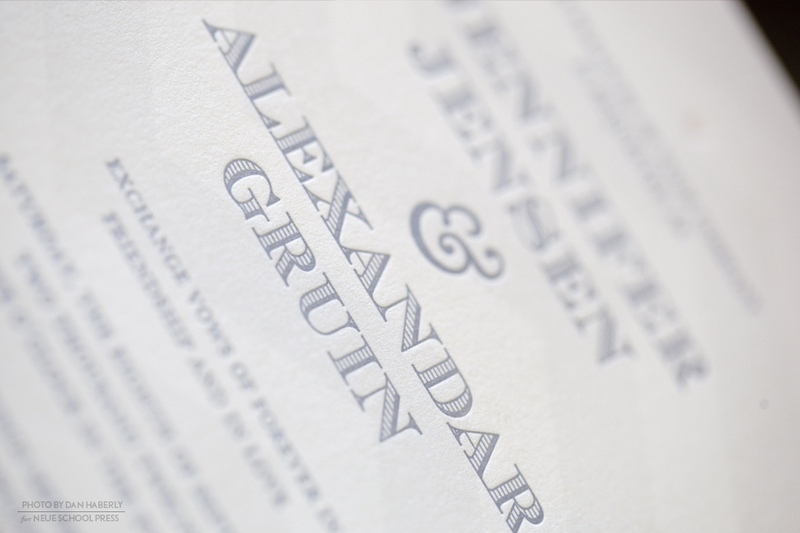 It is letterpress printed in two colors, silver and blush pink with an additional blind emboss on heavy cotton stock. 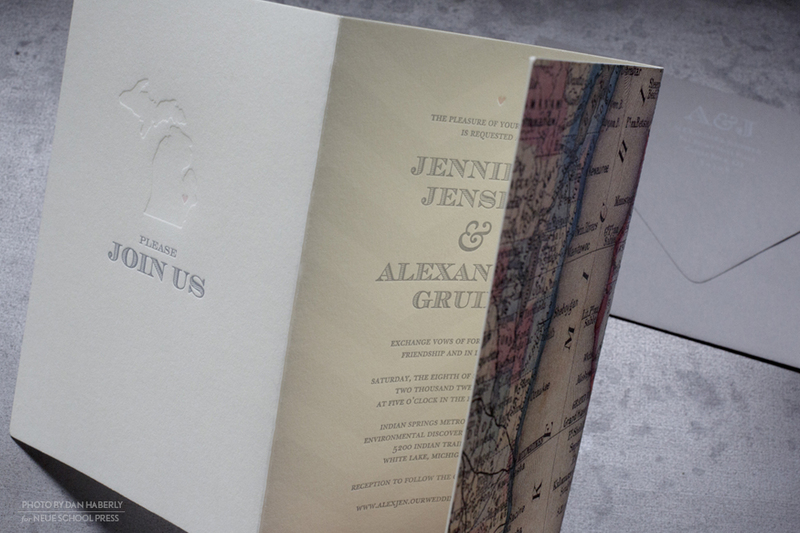 Its unique format, a custom 3 panel Z-fold, allowed for a attached, perforated rsvp postcard. 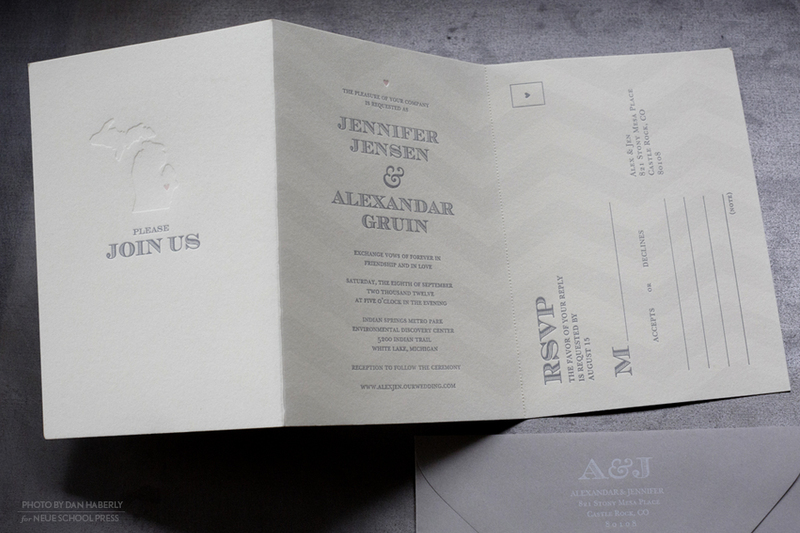 The full bleed chevron pattern lightly printed in the background, behind the text is an additional subtle detail. 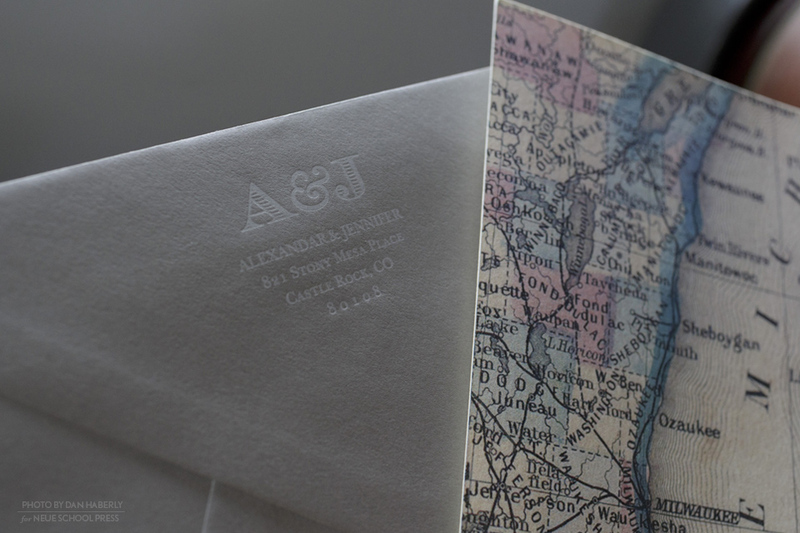 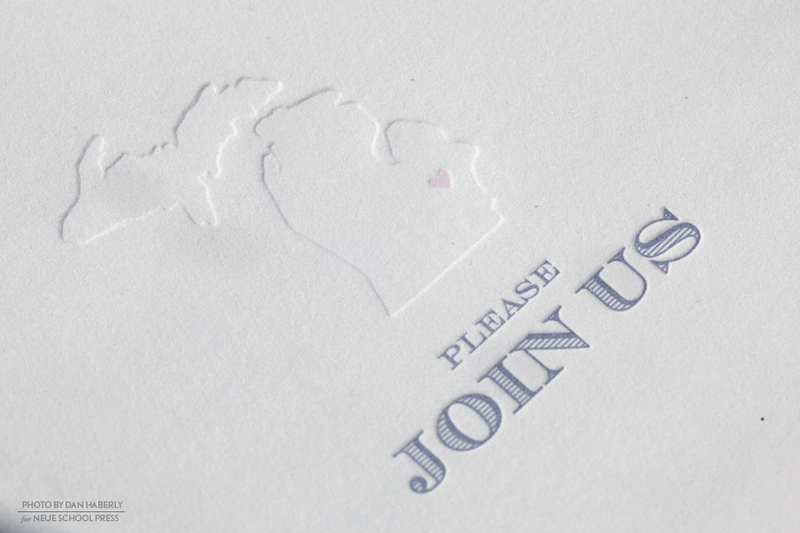 The return address is letterpress printed in white on the flap of a coordinating grey envelope.